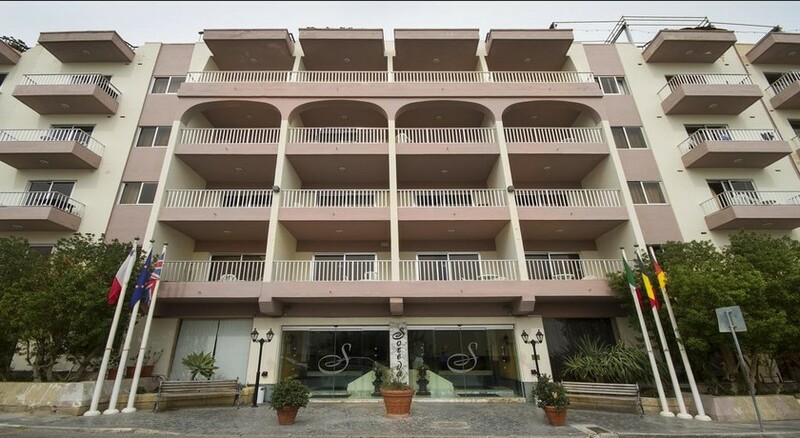 Soreda Hotels and Apartments is located at the heart of Qawra, just minutes away from the popular beach resort of Bugibba and the village of St. Paul’s Bay in Malta. A fine choice for a fabulous Malta holiday, Soreda Hotels and Apartments is positioned to offer the very best of Bugibba's many facilities, including world-class watersports activities. One of the best options for tourists seeking excellent value for money for a Malta holiday, Soreda Hotels and Apartments provides a number of accommodation options, including all-inclusive, half-board, full board and bed and breakfast packages. Guests will also enjoy services such as free Wi-Fi facilities, indoor and outdoor pools with hydro-massage and an on-site fitness club, while guestrooms and apartments feature modern-style interiors with top-notch amenities. A breakfast buffet along with a fine selection of Mediterranean cuisine is available throughout the day. Because of its central location, the hotel provides easy access to a number of tourist spots such as Mnajdra Temples, Mediterraneo Bio Park, Palazzo de Parisio and so on. Soreda Hotels and Apartments' location ensures guests will get the best from Qawra and Bugibba's attractions, as well as the restaurants, beaches and bars of popular St. Paul's Bay. Soreda Hotels and Apartments' is 4.5km from the Marine Park, which showcases dolphin shows and a reptile house, and 4.4km from Palazzo Parisio and Gardens, a beautiful walled garden, while Malta International Airport is only a 15min drive from the hotel. Soreda Hotels and Apartments are also well positioned for the ferry terminals leading to Gozo and Comino. Soreda Hotels and Apartments features modern, contemporary rooms - available in Standard Room and Junior Suite configuration - which are well-equipped with a host of amenities. These include satellite television sets, mini bars, work stations, dressing areas, large bathrooms with bathtubs and showers and balconies with breathtaking views of the surrounding landscape. 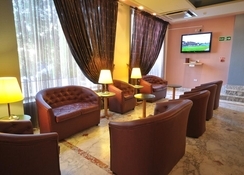 Complimentary toiletries and Wi-Fi facilities are also provided. Guests can opt for rooms with one double bed or two single beds. Large families can opt for family double rooms, family quadruple rooms or family one-bedroom apartments. 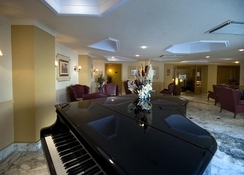 The hotel offers a breakfast buffet and a fine selection of Mediterranean and Maltese cuisine at its Bayleaf Restaurant. 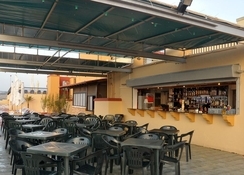 Guests can also relax at the poolside bar, which serves alcoholic drinks. Facilities at Soreda Hotels and Apartments include a hot tub, a spa centre and a sauna, along with hydro-massage and reflex massage. Guests can chill out in the hot tub or go for a soothing massage session. There is also a fully equipped gym to burn those extra calories of the sumptuous meals of the hotel. The hotel features a beauty shop for its female guests and a convention centre for holding business meetings. very good hotel, the amenities were first class. Indoor pool, sauna gym were ideal as the weather was a little cold during my stay. The hotel staff are first rate. The food was well above the standard we expected. Loved everything about the hotel! The hotel is situated on the outskirts of the town but is in easy walk for those who are mobile. The staff are excellent and try to make you feel part of the family. Nothing is too much trouble. Even the workmen who are renovations the hotel have a chat with the clients. Overall an excellent holiday accommodation.